Article: “Supernatural” Stars Rob Benedict And Richard Speight Jr’s New Show “Kings Of Con” Premiered On 11/15 And It’s So Incredible! We know them for being the profound, immensely talented, and extraordinary actors from one of our favorite TV shows ever titled, “Supernatural,” and without a doubt, Rob Benedict and Richard Speight Jr have stolen the hearts of fans with their genuine talent and incredible charisma. 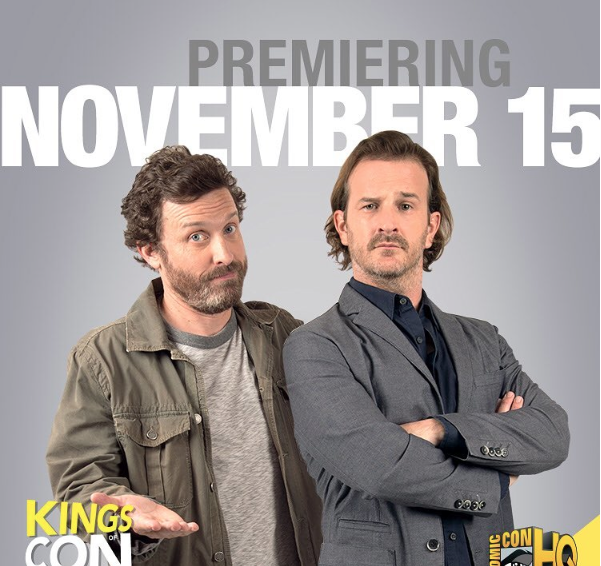 Now, we get to see a whole lot more of Rob Benedict and Richard Speight Jr with their outstanding and much-anticipated series, “Kings of Con,” which premiered yesterday, November 15, 2016. The first two episodes premiered on Comic-con HQ and needless to say, we were all laughing from start to finish with the unforgettable and hilarious moments of the show. The show will have many more familiar faces that fans can look forward to including fellow actors and actresses as well as their “Supernatural” cast-mate Misha Collins, who you can also spot in the trailer of the show. Mark your calendars and be sure to tune in every Tuesday for a new episode of “Kings of Con.” Trust me, you don’t want to miss out on all of the laughs and phenomenal fun! Check out the official trailer for “Kings of Con” below and comment below and tell me or tweet me at @alexisjoyvipacc, did you see the first episode of the show? What did you think of it? Previous VIPAccessEXCLUSIVE: Singing Sensation Alessia Cara Interview With Alexisjoyvipaccess At The 2016 Nickelodeon HALO Awards! Next Article: Get Ready For The Ultimate Sing-Off As Sarah Hyland Is Set To Host Nickelodeon’s “Lip Sync Battle Shorties” Airing 12/11!